Elegant science can arise from ugly facts. This is the thought that springs first to mind as we read a new study in Nature about how a single invasive species – the black rat Rattus rattus – can deeply impact not just the landscape it overruns, but fundamentally alter the wider marine realm that surrounds it. The elegance springs from the exploitation of chance patterns of invasion. 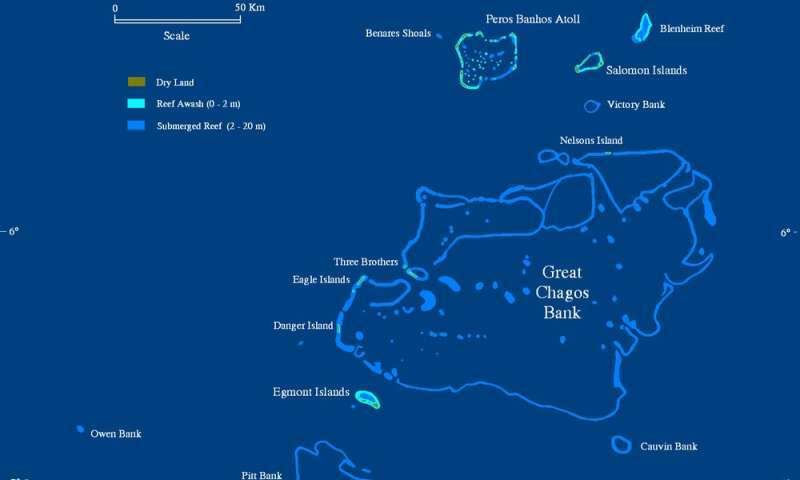 The researchers behind the study, led by marine biologist Nick Graham of Lancaster University, looked at the Chagos Archipelago, a remote group of coral atolls in the Indian Ocean. Some of the small islands that make up the archipelago are rat-infested and some are rat-free, a result of different patterns of human habitation in the 18th and 19th centuries. Graham and colleagues found that the difference between the islands is now startling and has no need to be teased apart by sophisticated statistical techniques. Those islands with rats have something like one or two seabirds per hectare, while those without rats have 1,000 or more in the same area. 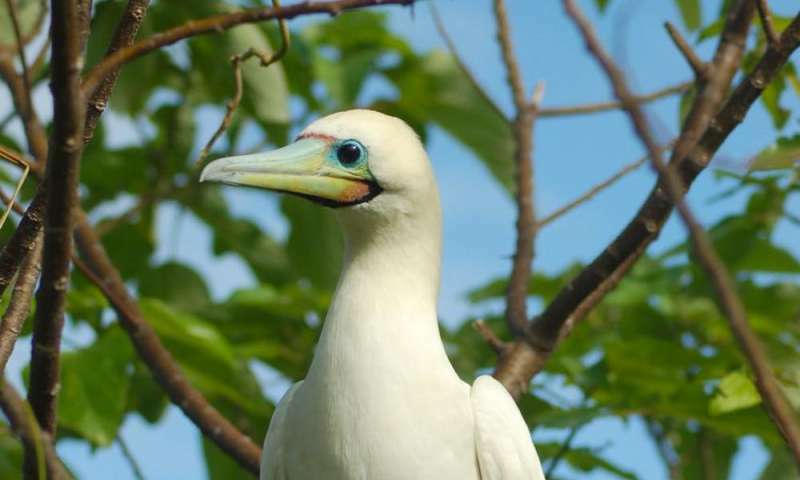 On rat-free islands, the seabirds range far and wide across the oceans to feed, and then deposit much of the resulting nitrogen and phosphorus-rich excrement on their home island. These nutrients are then washed into the shallow waters of the surrounding coral reef lagoons, where they support a complex food web that ultimately maintains large fish stocks. The fish in turn then graze the reefs and keep a healthy balance between seaweed and the island-building corals. Next to the rat-infested islands, however, the researchers showed the fish populations are smaller, grow more slowly and eat less than half as much seaweed. These reefs, therefore, are more prone to be smothered by seaweed, and to have less healthy corals. This general phenomenon is not new. On the Chagos Islands it is a few centuries old, but elsewhere it can range back thousands of years – humans have long been migrating, taking rats and other fellow invaders such as pigs, rabbits and cats with them to cause comparable ecological havoc. The trick here, as the authors underlined, has not been in finding evidence of human impact, for that is now nigh-well pervasive, but in finding some examples of something approaching a natural baseline – those islands that are still rat-free – which can allow the scale of that impact to be assessed. Given this history, the Chagos Archipelago story is not, technically, part of the Anthropocene – for the current best estimate for a beginning of this putative, still informal, geological epoch is somewhere in the mid-20th century. But it does illuminate the extent of – and the likely fallout from – the yet greater changes associated with more recent human impacts, when the scale and speed of biological invasions continued and indeed accelerated. Since the mid-20th century, most of the lakes and waterways of North America, for instance, have been the scene of a blitzkrieg by the zebra mussel, a native shellfish of Asia. The invasive zebra mussels of the River Thames of London, meanwhile, have seen their short-lived grip on the river prised from them by the yet more prolific Asian clam which, in the space of little more than a decade, has become a dominant species in the river. San Francisco was once known for hippies with flowers in their hair, but its surrounding bay is also home to some less benign visitors, including vast numbers of the Amur River clam from across the Pacific, and the shipworm (actually a burrowing mollusc), which on its arrival managed to bore its way through numerous wooden piers and wharfs. Meanwhile, on the other side of the world in the East African savannah, there are a plethora of invading plants including the aptly named "devil weed" and "famine weed", which spreads rapidly and can wipe out entire harvests. Teasing out the ecological ripple effects of these newer and more numerous examples of the Anthropocene will be harder than in the finely-worked Chagos Islands study of Nick Graham and co. The natural ecological baseline is now yet more distant, while other effects – from pollution, urbanisation, agriculture, and climate change – are also intensifying. Amid a thickening tangle of environmental forcing factors, it is becoming harder to precisely link cause and effect. It is clear, though, that the Earth system is now on a new trajectory, of the Anthropocene, following the relative stability of the Holocene. This new story of rats and reefs underlines how far-reaching these changes are likely to be.